Shop Front Doors – Installation, Repair and Purchase. Today we’d like to do a quick update on some of the things Door Doctors have done in 2019. Since it’s almost Easter already the friendly and talented team at the Door Doctors have worked on a few interesting projects. 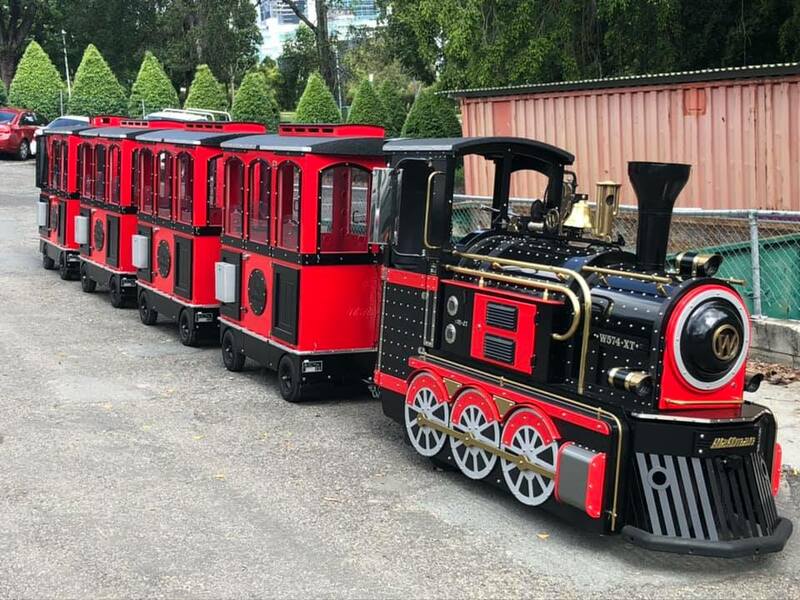 If you’d like to learn more please click here to view our gallery – we’ve worked on many different tasks during our long lifetime and would be happy to give you a hand if you have any questions! 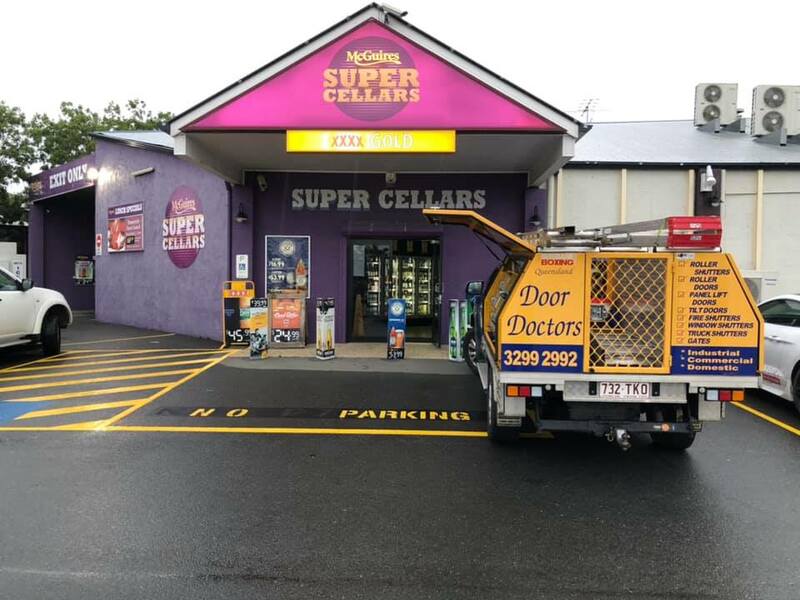 April – we helped out our friends at McGuires Super Cellars after a break in. We are always happy to help with after hours emergency door repair! Fixed price servicing / repairs and maintenance. Door repair/maintenance for Body Corporate or Strata Title Management. We’re still offering 24/7 after hours urgent door repair service for emergencies. Click to view our page or simply call us on 0417 620 366 if you need after hours door repair. Satisfaction Guaranteed. 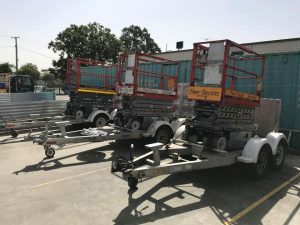 No breakdowns will be left nonoperational or unsecure. We guarantee your satisfaction – your door will be back to normal working order as soon as possible. 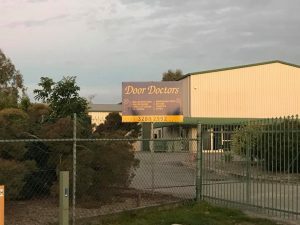 If you’re interested in a free quote from the Door Doctors please give us a call on 07 3299 2992 or click here to contact us online. We’d love to hear from you! Door Doctors: Sorting out life’s ups and downs. P.S. Don’t forget to follow us on Facebook to learn more about what’s going on at the new place. Can you use WD-40 on a garage door opener? Can you use WD-40 on a garage door opener? What’s the best way to clean a noisy or squeaky garage door? Let’s take a look at you best options when trying to fix up a squeaky or non-responsive door. Can you use WD-40 on a garage door opener? Well, firstly let’s take a look at what WD-40 is. The WD stands for ‘water displacement’ – originally WD40 was created to spray water from metal parts before assembling them (in order to prevent rust accumulation). As such the active ingredients of WD-40 are mineral spirits, mineral oil, and carbon dioxide. While the mineral oil is good for lubrication the mineral spirits, which dissolve grease and dirt, will dissolve quickly and you’ll be left with a small amount of mineral oil, not nearly enough to effectively lubricate a heavy garage door. WD-40 or silicone spray can also dry out the wheel bearings by washing the grease out of them – making the problem even worse. It is true that WD-40 has myriad uses, but cleaning your garage door is not one of them. How do I lubricate a garage door opener? We recommend using a commercial garage door grease or a lubricant spray to lubricate your garage door. For example, 3-IN-ONE 300g Professional Garage Door Lubricant (which is actually made by the WD-40 company) is currently $9.90 at Bunnings (don’t hold us to the price!) and will help reduce friction, stop squeaks and eliminate sticking doors. Don’t use WD-40! Use a suitable product and lubricate your door every six months and you’ll help increase the longevity of your garage door opener. If you’d prefer, the friendly team at the Door Doctors have a fixed price servicing for garage door openers available – regular maintenance which means you can save money on your investment in the long run but don’t need to worry about repairing it yourself. 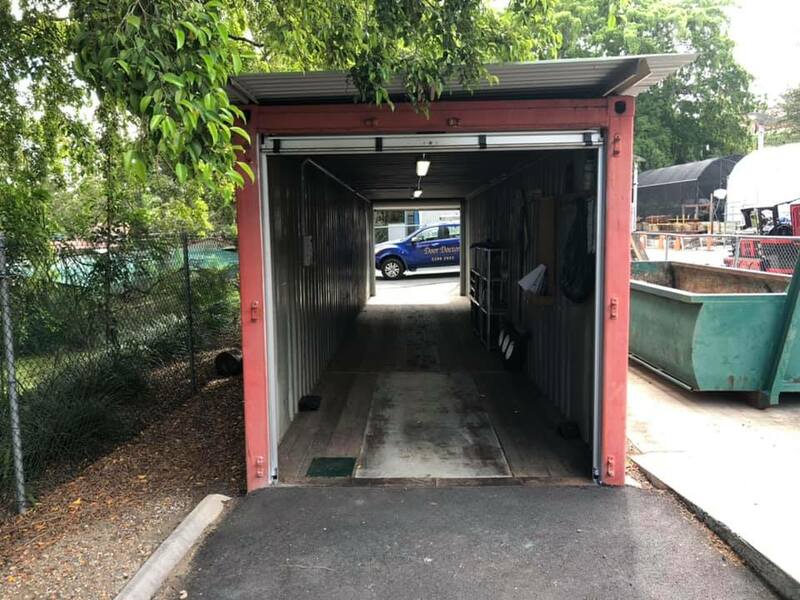 If you’re interested in garage door repair and need some help from the Door Doctors please give us a call on 07 3299 2992 or click here to contact us online. We’d love to hear from you! P.S. Don’t forget to follow us on Facebook! Today we’ll take a look at Garage Door Installation vs. Repair – what’s the right time to repair your garage door/motor and when does it make more sense to simply get a new one? When you have a damaged garage door, it can be hard to tell whether you’re better off starting fresh or if it’s able to be repaired. Usually the best thing to do is to have a chat with a professional who has a lot of experience in doors and motors so you can see which the best option will be. How long has it been since you’ve had a service? How bad is the issue? If you don’t have a lot of experience in DIY then the best thing to do is see what an expert says. The friendly team at Door Doctors offer fixed price servicing for doors we install. This means you’ll know exactly what to expect and there won’t be any nasty surprises if anything breaks down. You’ll also save money in the long run as regular servicing of your garage door+motor will ensure it lasts for a lot longer and stays in good working condition. Another factor to consider is the age/condition of your garage door. If we can fix it today and it’s going to break again in 6 months, is it a false economy to pay to repair the door? In many cases yes. It’s best to meet up with an honest and reliable repairer who can give you the scoop on what’s exactly wrong, and the best way to fix it. If you’re planning on living at your place for the immediate future it makes sense to treat the door like your car and ensure it stays in good shape with regular services. This is especially important if you have just bought a new door – this way you’ll get the best out of your investment (and won’t have to worry about it, if you take advantage of fixed price servicing!). Satisfaction Guaranteed. 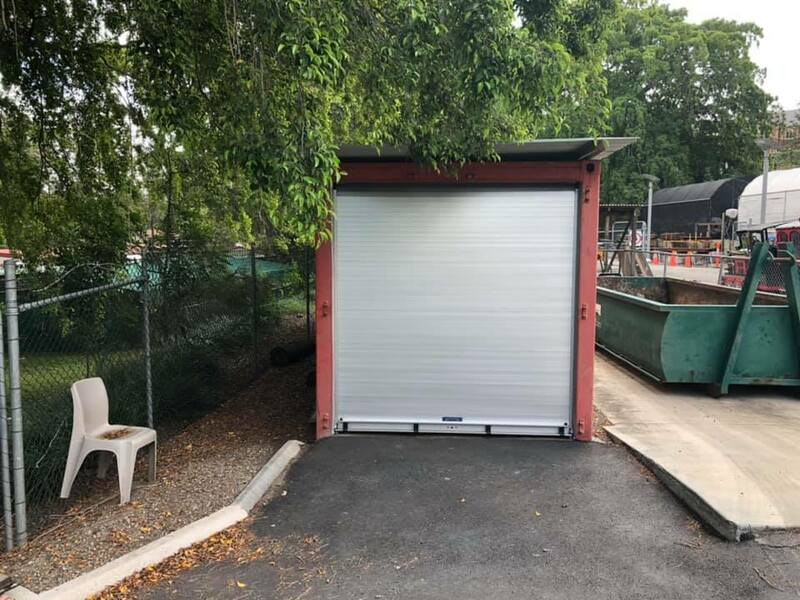 We’re got extensive experience with garage door repair in Brisbane and would be happy to help you figure out whether you need to replace your garage door/motor or simply just get a repair. At the Door Doctors we’re always interested in keeping up with modern technology. 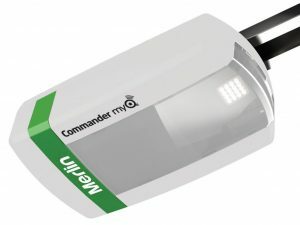 That’s why we have some tips straight from the manufacturer to ensure you’re getting the most of of your Merlin myQ Technology. This handy piece of equipment can be set to notify you when your door goes up or down (no matter where you are) – and you can even control the door remotely if you need to. To receive Push Notifications from your garage door, ensure the Notifications are activated in the Iphone Settings menu. To receive Event History information, the Alert option in the myQ App must be active. When using the phone App, limit the Alert Name to 14 digits, otherwise all the history message will not appear. Refreshing the App occasionally by logging out and logging back in with the password, will ensure the latest upgrades have been added. In the garage, keep the IR Beam area clear to avoid accidentally blocking the safety beam system and creating a false alert.
! CLOSE ERROR appearing on the myQ App indicates an object is in the path of the door. Closing the door with your IPhone and remotes will not be possible until the object is removed. If you are having issues with your internet service, you are still able to OPEN and CLOSE your garage door locally, with the remote controls. Solid Green Led on the Gateway indicates it has connected to the internet. Solid Blue Led on the Gateway indicates it has paired to at least one garage door opener. One Gateway module can pair with up to 16 garage door openers, provided they are located at the same site and within radio range. Satisfaction Guaranteed. We’re got extensive experience with the whole Merlin range and would be happy to help you choose the perfect garage door motor for your circumstances. Door Doctors fix a door at a fire station! 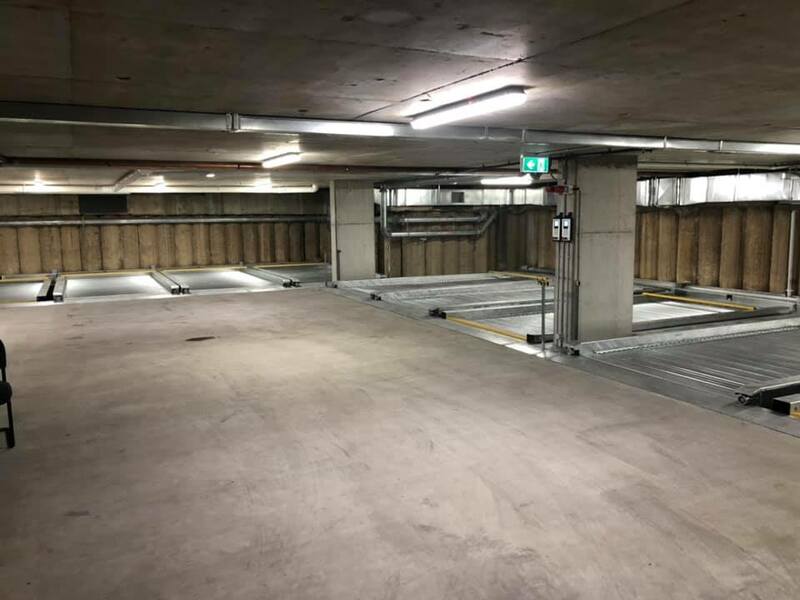 If you have been put in charge of trying to source a commercial garage door for your business premises, look no further! The team at Door Doctors will be pleased to give you some things to consider before purchasing. Commercial Garage Door sales and repair with the Door Doctors. Firstly, you can decide if you want a roller door or a sectional garage door. Roller doors are thinner, lighter, need less space than a sectional garage door, and are a little more expensive. Sectional garage doors can be a good option if you have enough (a lot!) of space in the install zone. 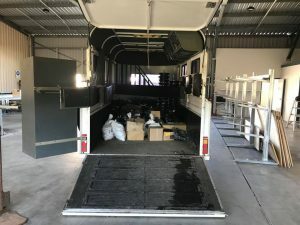 The sectional doors can allow in a lot of light, are quite quiet to operate, and are very secure in terms of protection from inclement weather or crime. Deciding which you need can be dependent of a number of other factors as well – it’s best to have a chat to your supplier/installer to ensure you’re choosing the type of commercial door that’s right for you and your business. Regardless of which door you choose, please ensure you’re purchasing a quality product with a proper warranty – something that will last a long time, is easy to use, has top-of-the-line design, and is strong. We recommend the Grifco range of industrial door motors to pair with your new door! Why choose the Door Doctors when you’re buying a commercial garage door? 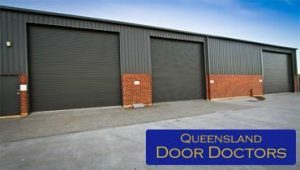 If you want to learn more about Door Doctors’ industrial and commercial roller/sectional door options please click here to read about some of our previous installs / options, or simply give the friendly team at the Door Doctors a call on 07 3299 2992 – we’d be happy to advise on the best choices with regards to your new door! Another successful industrial garage door installation! 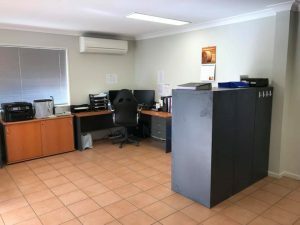 Door Doctors Address – Office Move to Bethania! The Door Doctors address has changed this week as we move into our new office. 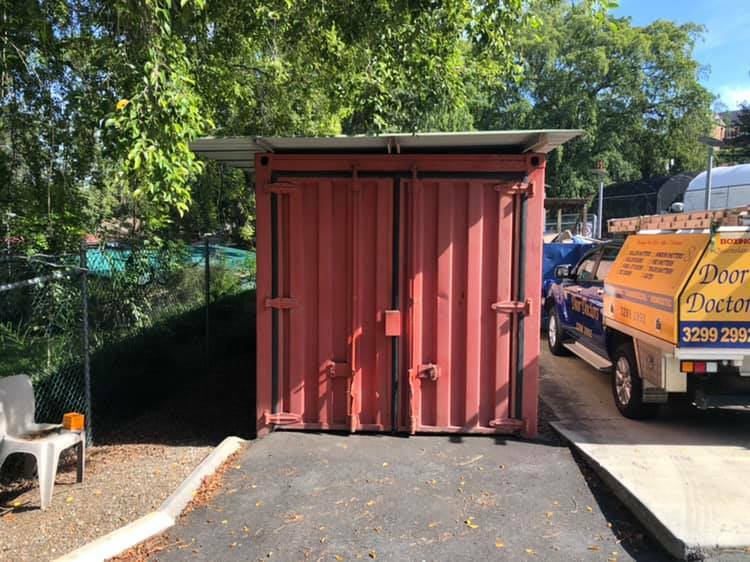 If you’re interested in checking out a few pictures of the move and learning more about how we can help from our new location, please read on! 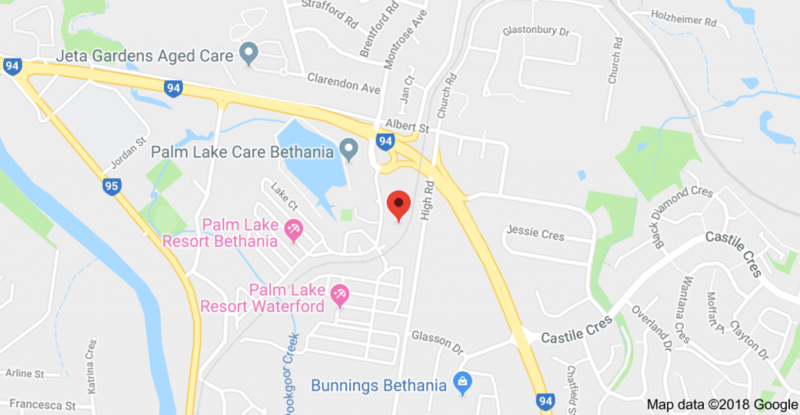 The new address for Door Doctors is 2/34 Goodooga Drive, Bethania. Click on the map to get directions! 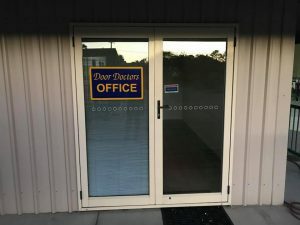 Outside shot of the new premises with our Door Doctors sign. Inside shot of the new office – where you’ll meet the friendly admin team. The boys getting ready for the big move. 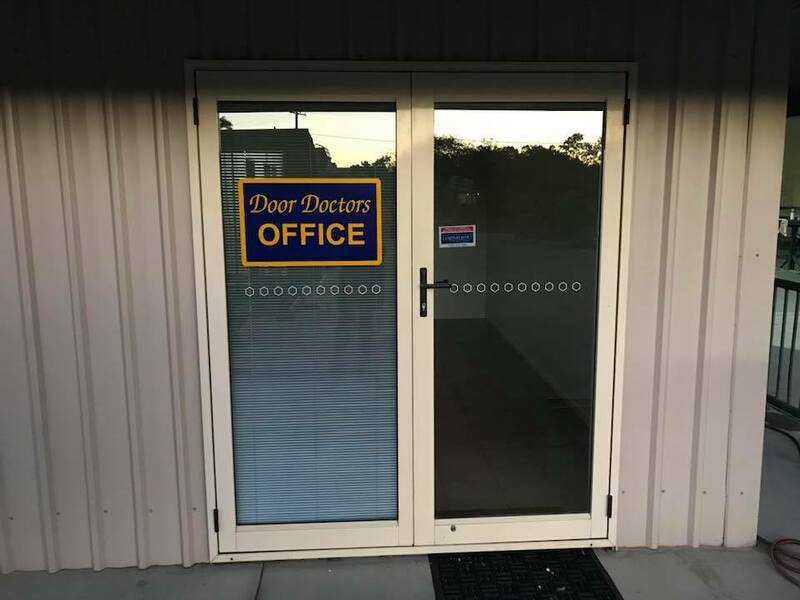 Welcome to the Door Doctors’ new Bethania premises! 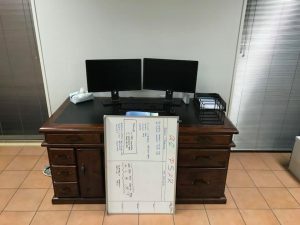 Admin desk and whiteboard ready to install! Unpacking one of the vans. If you’re having a problem with the springs in your garage door, Door Doctors can help! Door spring replacement is our Brisbane-based company’s speciality. 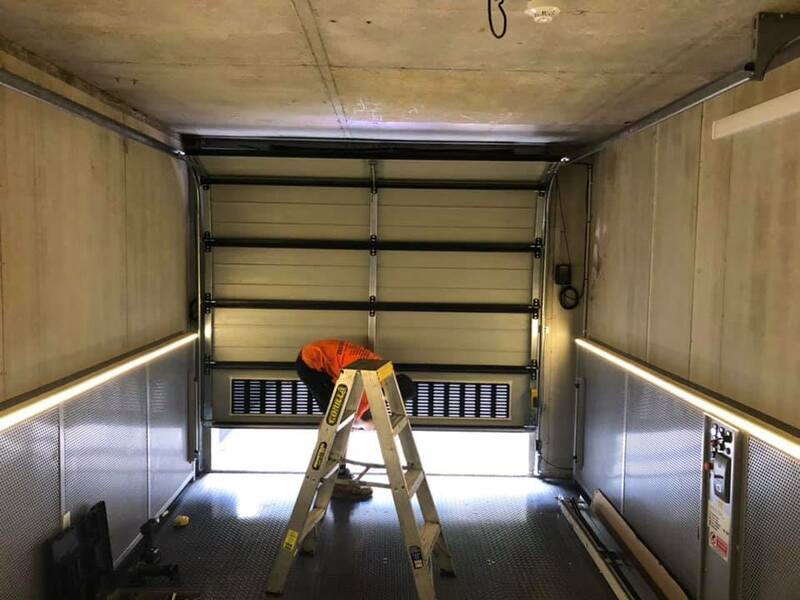 Sectional doors, panel lift and tilt doors generally all have springs in them which will need to be replaced periodically. Sometimes the springs are okay but they have just lost their torsion due to a faulty install or lack of maintenance – in either case Door Doctors are here to help you with any spring issues your garage door may be having. To replace the springs on your garage door you have to release the tension and secure the door to remove them and install the new springs. After this you have to do the same in the reverse order, keeping in mind that it’s a delicate process that requires experience to do safely. DIY door spring replacement isn’t recommended as it’s quite easy to damage the door and since the springs are under tension, it’s quite dangerous if you don’t know what you’re doing. Although it may seem like a routine task, it can be quite complicated – and we recommend you call in trained technicians rather than risking your safety and the health of your door to save a few dollars. 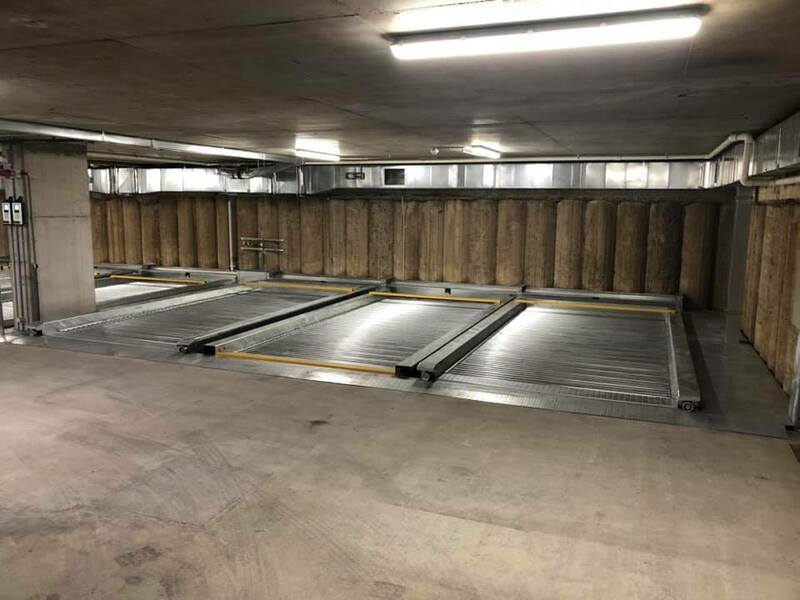 Sectional door springs are typically rated for 10,000 – 20,000 cycles or a rough average of 7-10 years on a standard double garage and when one breaks, usually the next one will follow. For this reason, we recommend changing both or in some cases all the springs as soon as one goes. Regular maintenance of your garage door will assist in maximising the lifespan of your springs. 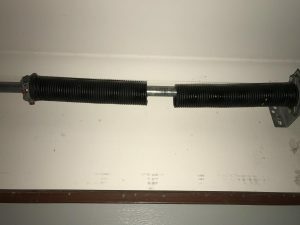 The cost of replacing garage door springs can vary depending on the size of the spring. The standard set of garage door springs start at $385.00 fitted. 9 out 10 times this will cover you (modern sectional doors have relatively lighter and inexpensive springs, but older domestic springs are large and can cost more), so please feel free to get in contact with us if you’re interested in a quote – one of our friendly team will be in touch to help! Simply give us a call on 3299 2992, contact us by clicking here, or email us on [email protected]. We’ll arrange for one of our dedicated breakdown crews to get out to you as quickly as we possibly can. If it’s not urgent you can place a request through our online quoting service by clicking the button below. Commercial Garage Door Installation – 5 Questions to Ask. 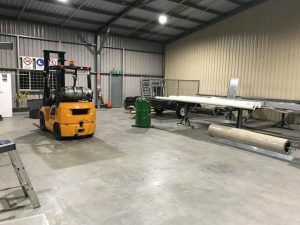 If you’re currently in the market to get a commercial garage door installation round to your factory, office, or workplace – here are five questions you need to ask any potential company before you agree to terms. Saving a few dollars in the short term can be a very bad idea down the track if you run into any issues, so it’s imperative you choose carefully! Buying a new commercial garage door in 2018 means you have a multitude of options with regards to vendor and features. 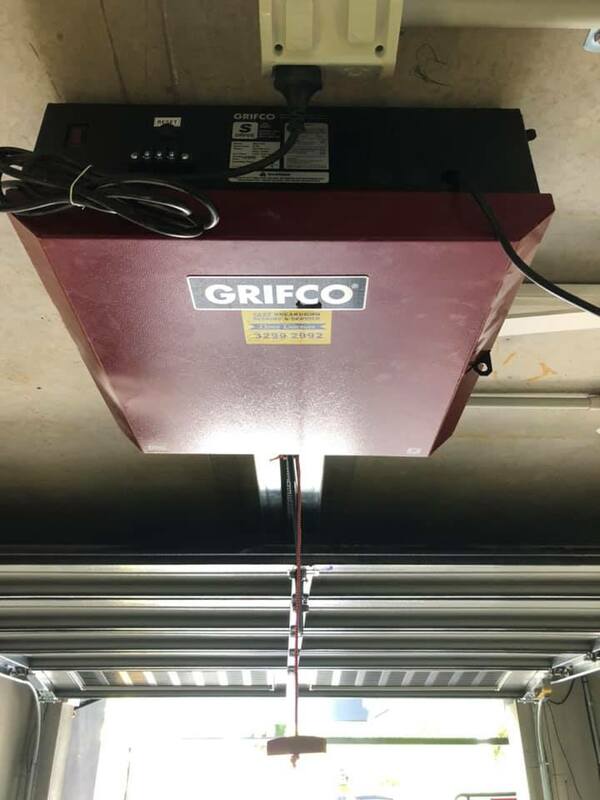 We recommend the Grifco range of commercial garage door openers due to their good pricing, unparalleled performance and excellent warranties. You can learn more about Grifco by clicking here. 1. Do you have any reviews or case studies of similar projects? Ask your installer if they can show you what they did at a similarly sized project. Do they have any references you can talk to? Are you able to see some pictures of previous work they’ve done? 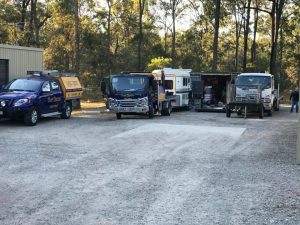 It’s important to ensure you’re dealing with a reputable company. 2. Which features do you require? 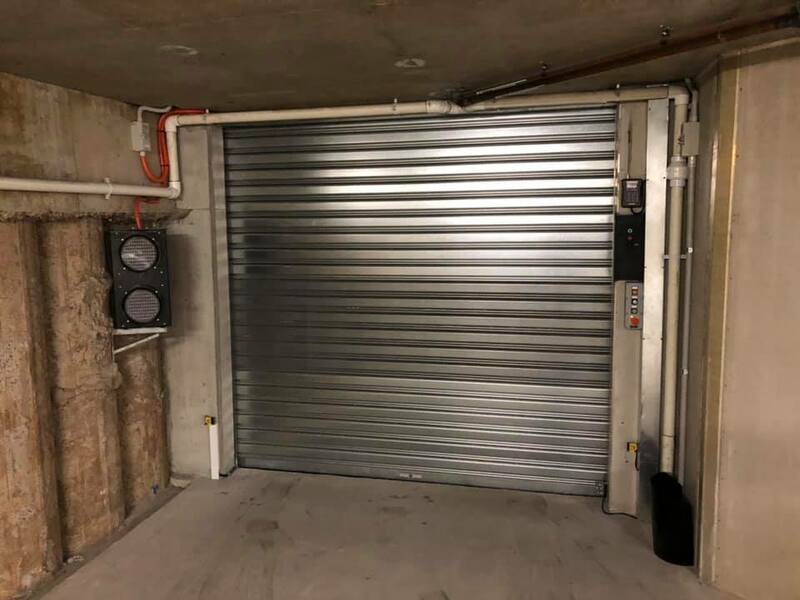 Depending on the size of and function of your premises, there are myriad features available for commercial door openers – fire shutter openers/hoists, manual hoists, expansion boards smoke baffle features, remote access, entrapment protection and much more. Have a chat with the company about what you need and ask if they have experience in installing these features. 3. What’s your quoting process? Find out if there are any costs in the discovery phase. Some companies charge for a quote, and some (like Door Doctors) are happy to do this for you free of charge. 4. Is your previous door unsalvageable? At Door Doctors, we’re experts in industrial/commercial garage door repair. In some circumstances it can be better to work on the existing door/motor before we fully replace it. If you have an existing door which isn’t working, please give us a call and we’ll be happy to help. 5. Which brands do you use? What’s the warranty procedure like? Ask the company about their recommended brands and what the failure rate is. How long does it usually take to fix an issue? Do they have a good relationship with the manufacturer? Be very clear about the warranty procedure because door motors, like a car, are rated for usage or time – either X number of cycles or X number of years, depending on the specific product. It’s important you do the calculations to choose the correct product for your usage requirements. 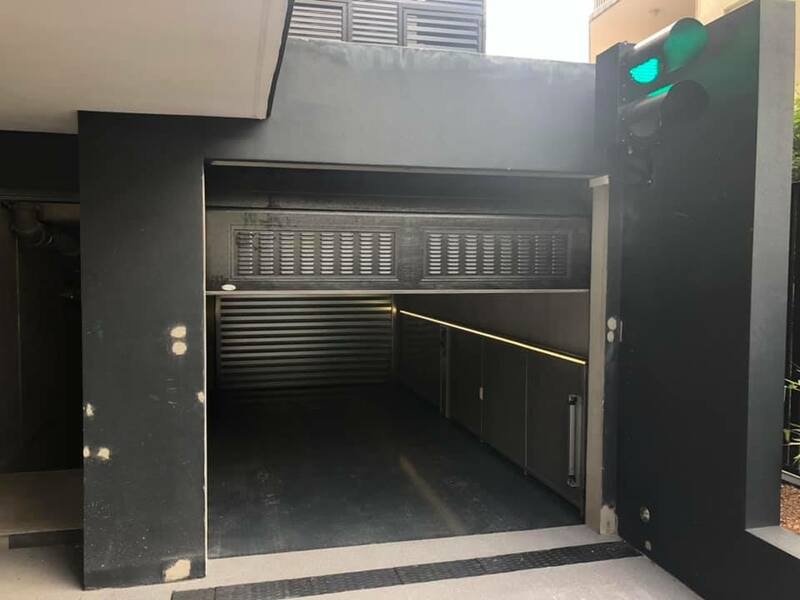 If you need help with a commercial garage door, from purchase to replacement, please give Door Doctors a call on 3299 2992 or email us at [email protected]. We’d be happy to help. We are the Industrial Roller Door specialists. We have been in the door industry for many years and strive to provide the highest quality service & products every time. We take every precaution to ensure that your roller door is safe and operational for many years to come. 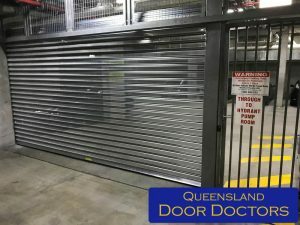 If you need an industrial roller door in Brisbane call us today! Get a cost and obligation free quote today and find out how we can help you!